The objective of the panel debate was to deconstruct existing myths regarding the use of the headscarf and its politicization in modern societies. It likewise aimed to explore the role of the headscarf as a source of unity and communality between different cultures and religions worldwide. 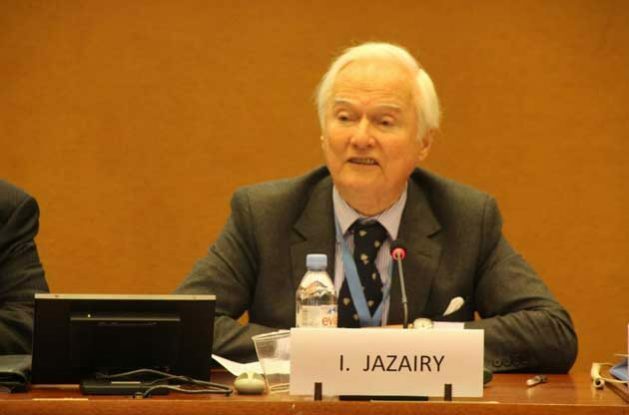 During Ambassador Jazairy’s presentation, a video was projected to the audience in which showed the act of the Australian Senator Pauline Hanson in August 2017 to request the Attorney-General George Brandis to ban the use of the Islamic burqa in Australia. In this regard, the Executive Director of the Geneva Centre stated that this “display of Islamophobia and cultural insensitiveness” was an “illustration of the ways in which the Islamic headscarf is being manipulated for political ends.” The reply of the Australian Attorney-General – he said – condemning the “mockery of religious garments in the Australian Parliament” as he objected was a “symbol of Statesmanship,” according to Ambassador Jazairy. The Deputy Permanent Representative of the People’s Democratic Republic of Algeria Mr. Toufik Djouama said that a “degrading image about the Islamic headscarf” is being cultivated by numerous groups that believe in the “clash of civilizations.” The use of the veil – he said – is “a personal choice” taken by Muslim women. “Others see it as an attachment to their identity and cultural heritage. Others see it just as a traditional dress or a symbol of decency,” added the Deputy Permanent Representative in his statement. Following the intervention of the panellists, the moderator opened the floor to the audience. The counsellor for human rights of the Permanent Mission of Australia – Mr. Kevin Playford – welcomed the Centre’s comments on Australia and underlined that the “veil can often be misunderstood” as a symbol of religious expression. The act of the Australian Senator Pauline Hanson to wear a burqa in the Australian Parliament – he said – does not represent the true values of Australia. Her acts were meant to “marginalize the Muslim community” in Australia and were strongly condemned throughout the Australian society. “Australia is a country of rich multiculturalism and religious diversity and a tolerant and inclusive society,” stated Mr. Playford where one in four inhabitants were born overseas and one in two were either born abroad or had parents coming from overseas. 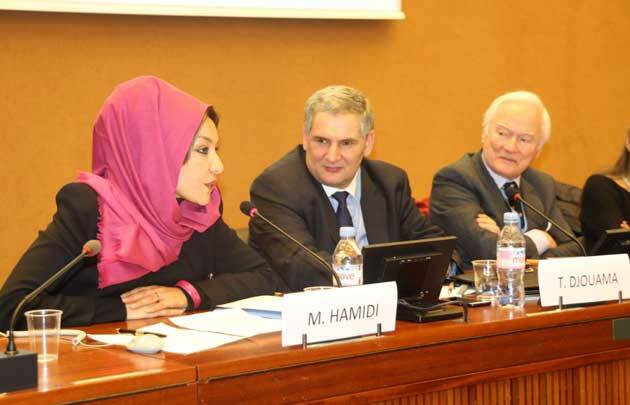 The Ambassador of the Permanent Delegation of the Organization for Islamic Cooperation (OIC) H. E. Nassima Baghli asked the panellists to express their views on the restrictions on secularity in relation to the expression of people’s religious beliefs. Dr. Rhein said that different religious groups “must work together and fight for their rights” in order to address factors impeding their right to express their religious beliefs. 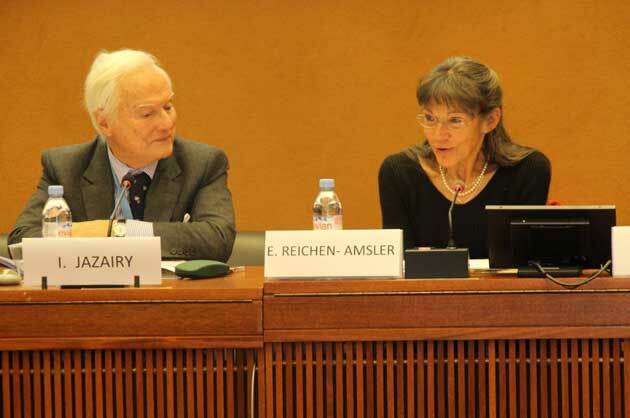 Ms. Reichen-Amsler added in her statement that Switzerland is based on the ideal of inclusive secularity and not on secularism. “Everyone must be included because of their specificities” – she said – in order to allow members of society to live in peace.